The 85th session of the UNWTO Executive Council meeting in Mali, recommended on May 7, 2009 Taleb Rifai for the post as Secretary-General for the four-year-period starting January 2010. The candidature of Mr. Rifai of Jordan was supported by the Executive Council, in accordance with the UNWTO statutes. 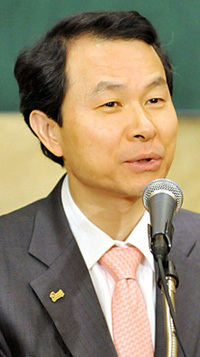 Oh Jee-chul, CEO of Korea Tourism Organization managed to have won supports from only 10 members of executive council out of 31 whereas Rifai garnered 20 votes. The recommendation will be presented for ratification by the UNWTO General Assembly, meeting the first week of October in Astana, Kazajstan. The World Tourism Organization (UNWTO/OMT) is a specialized agency of the United ‎Nations and the leading international organization in the field of tourism. It serves as a ‎global forum for tourism policy issues and a practical source of tourism know-how. Its membership includes 161 countries and territories and more than 370 Affiliate ‎Members representing the private sector, educational institutions, tourism associations ‎and local tourism authorities.